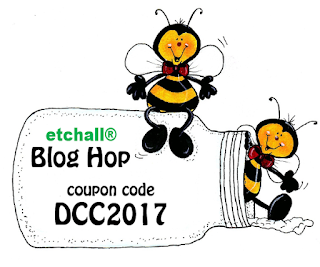 It's National Craft Month and we're kicking off our creativity this year with a blog hop for etchall®. As you know, glass etching is an extremely popular way to up-cycle and personalize glass pieces, but did you know you can also use it to etch china, porcelain, marble and even slate? etchall is available as a crème, or a liquid, (dip'n etch). Both work equally well and, most importantly, both are RE-USABLE! Yes, this means you can use it multiple times! Use once, then put it back in the container to be used again and again and again.... how cool is that! It’s a wonderful, easy to use product, perfect for home dec projects as well as up-cycling - that is turning something plain into something classy. Neither the cream nor the dip has a noxious odor and the crème is creamy, not gritty. These products create a real, permanent etch, not fake, so it is very important to read the directions carefully. You can also check the website for more detailed information and in depth tutorials if you haven't used it before. 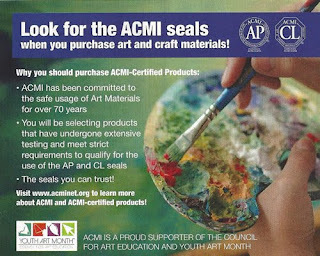 Please note, the product is also ACMI certified. You can use stencils to create an etched design on glass, or dip entire pieces into dip'n etch to turn a smooth shiny surface into an etched surface, perfect for either painting, or stamping designs, since the surface now has "tooth" (rough texture). The following designers received samples of etching product to work with. 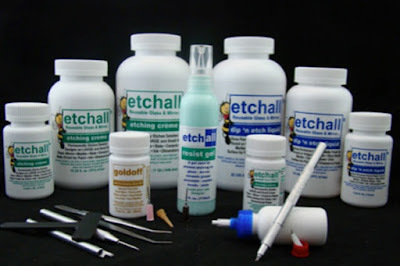 Some of them are etchall Ambassadors and have used etchall before, and some are working with these products for the very first time. Follow the links to see their different ideas and techniques then use the special DCC code at etchall for a special discount when you order your own beginner set to work with. This offer is valid thru March 31st, 2017.